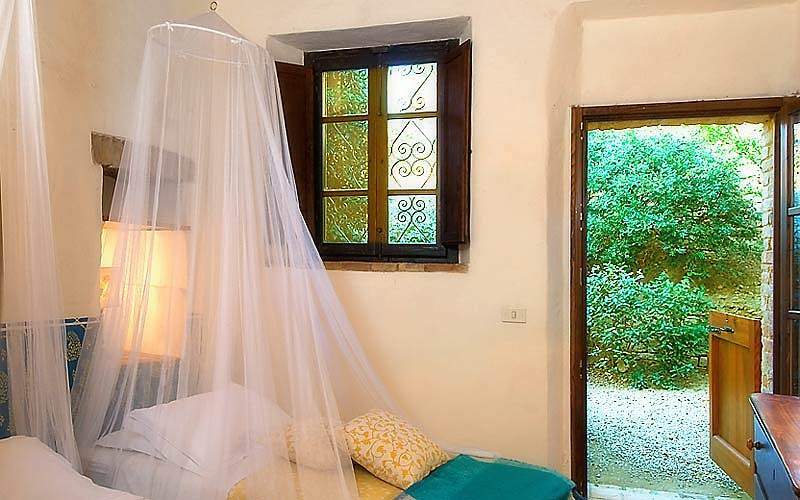 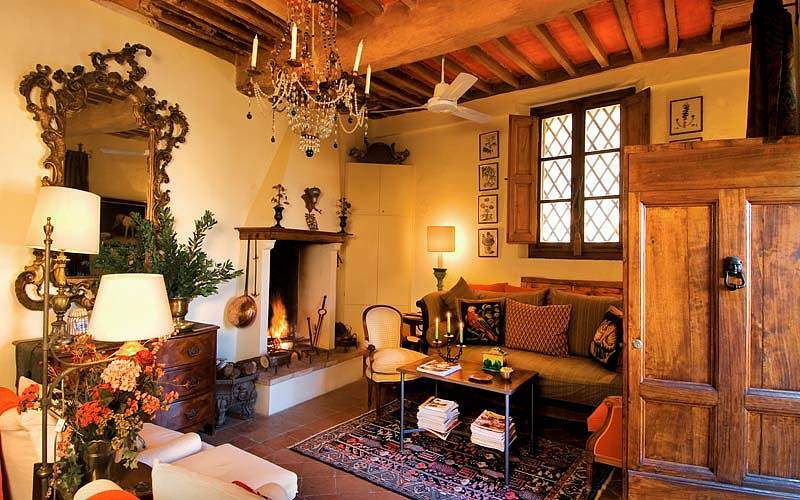 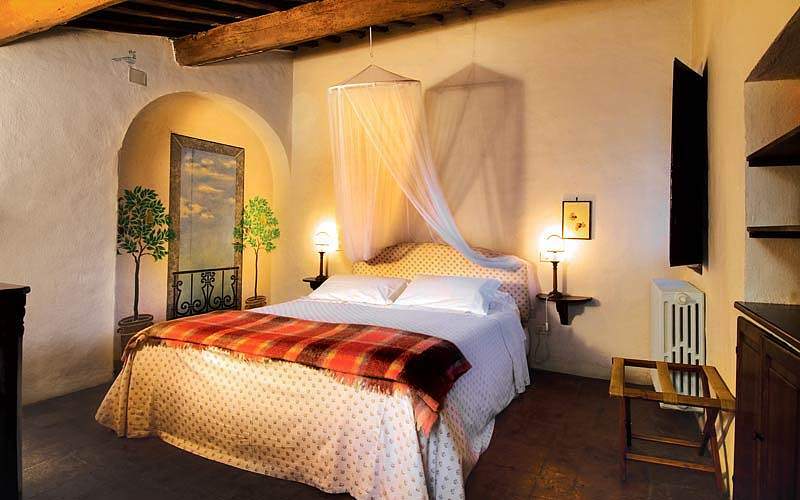 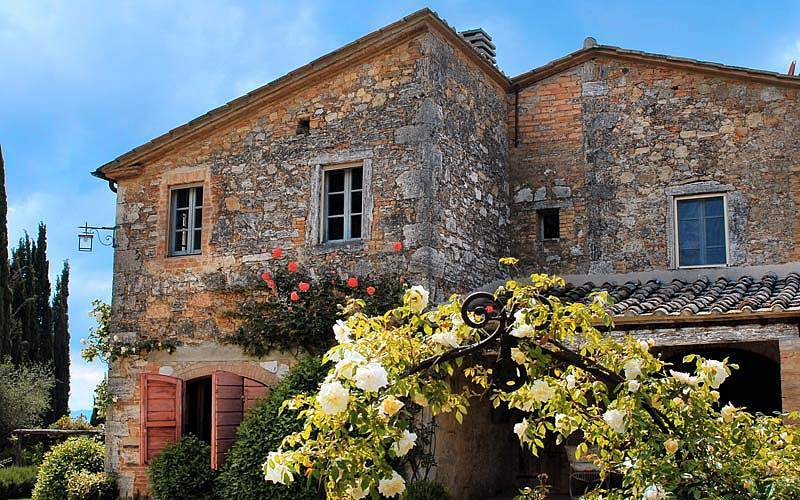 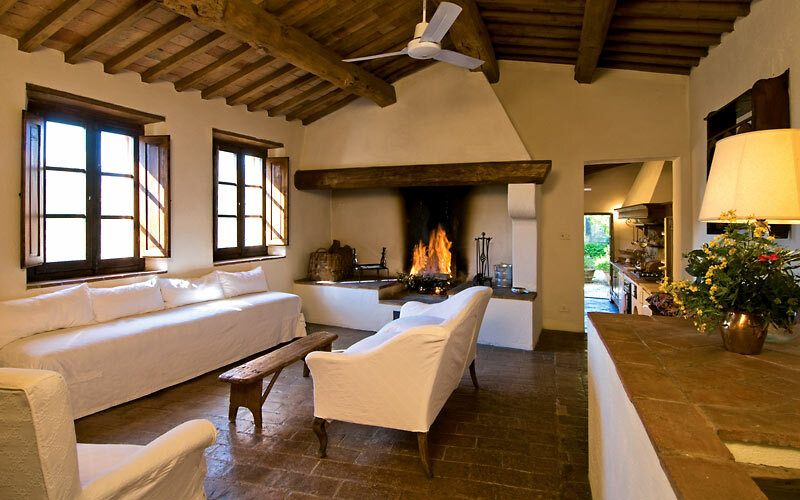 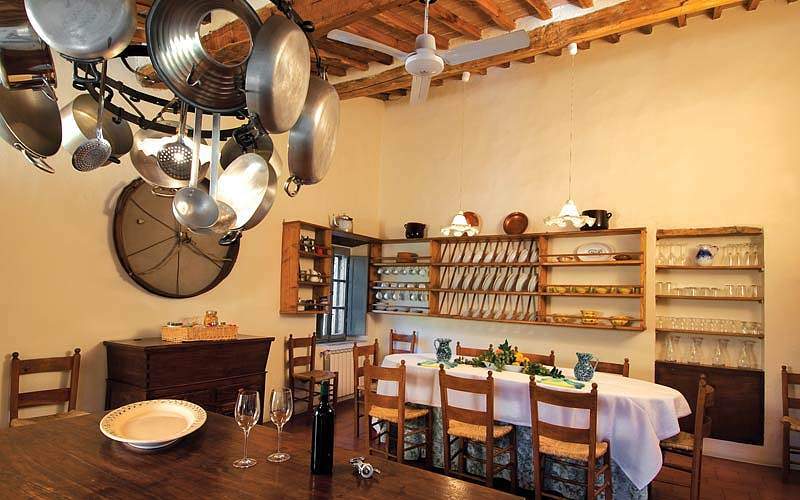 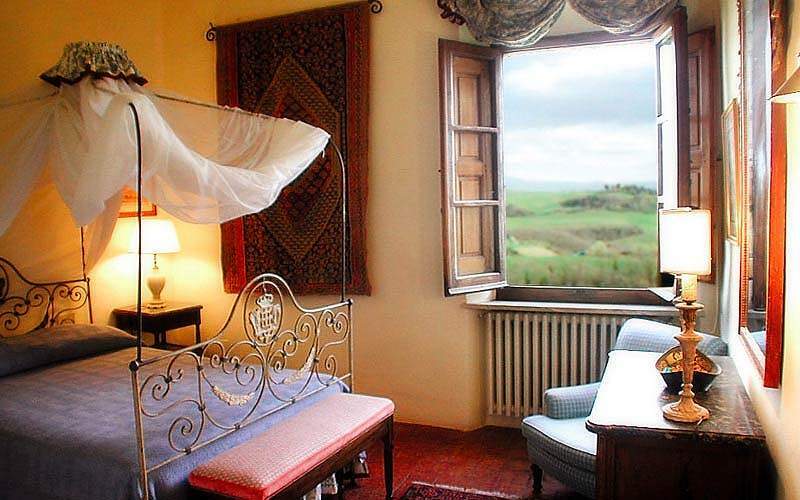 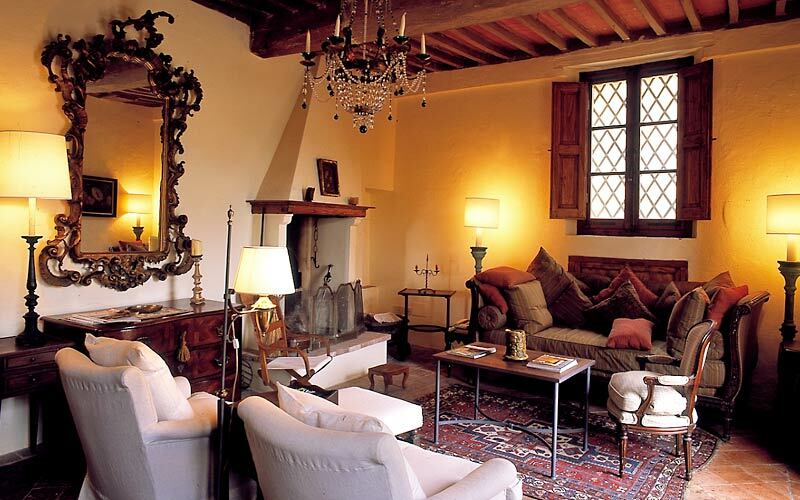 If you like the idea of spending a holiday in a tiny Tuscan village, in the heart of the Crete Senesi, you're going to love Borgo Lucignanello: a period residence comprised of five, finely restored apartments and a farmhouse, in the medieval hamlet of Lucignano d'Asso. 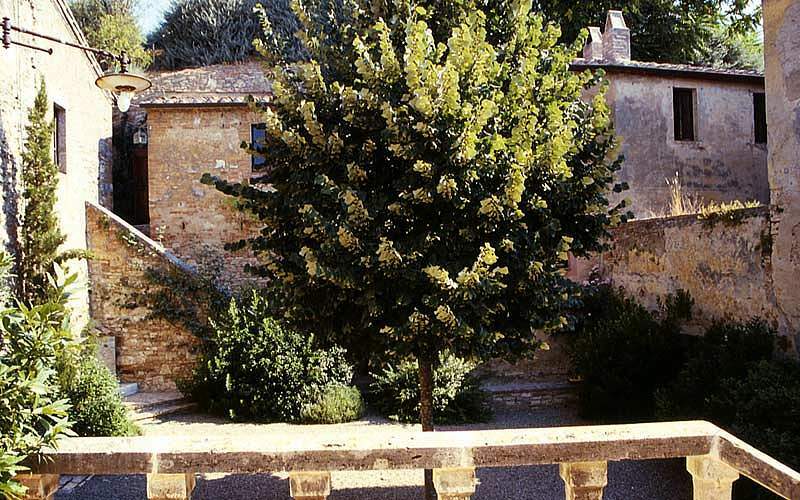 Inhabited since the time of the Roman empire, Lucignano d'Asso acquired its present urban structure in the 15th century, at a time when the entire village belonged to the influential Piccolomini family. 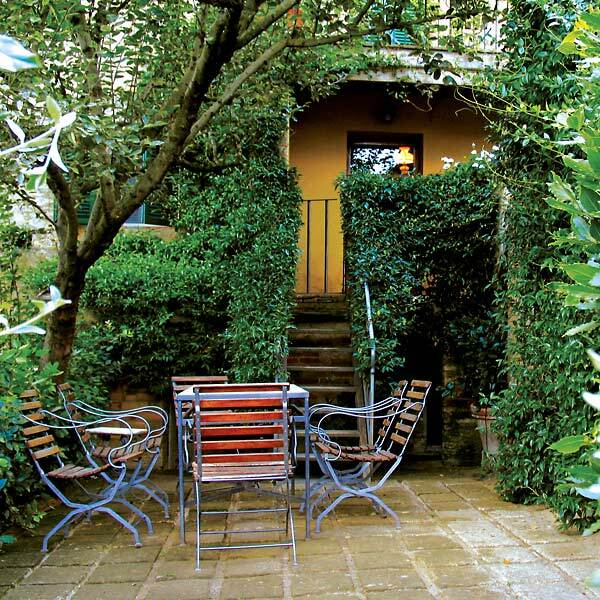 The buildings which comprise the Borgo Lucignanello complex date back to this period. 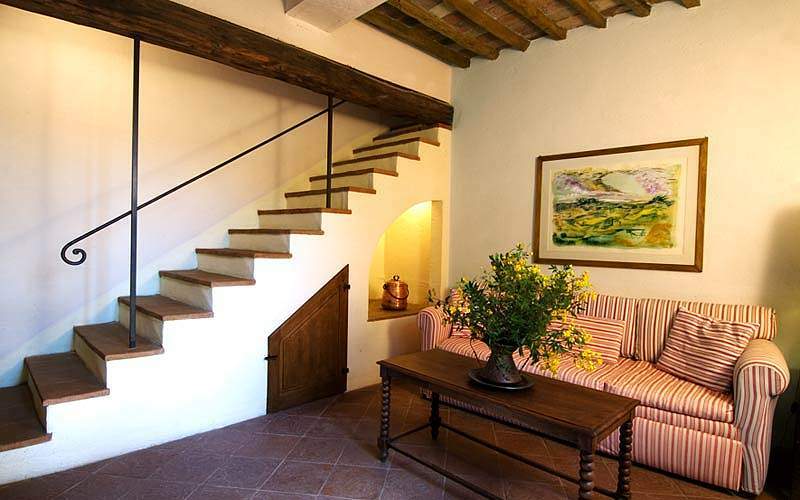 The restoration of Borgo Lucignanello's five houses, Casa Amadeo, Casa Remo, Casa Clementina, Casa Severino and Casa Maria, was supervised by Paolo Alberto Rossi. 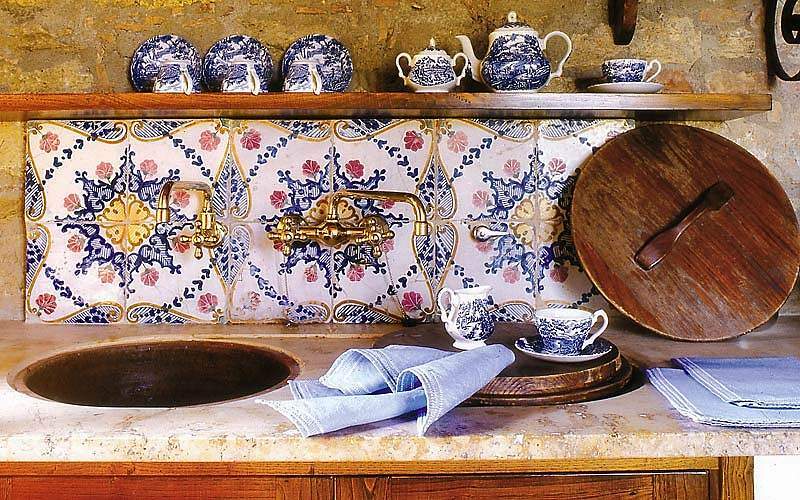 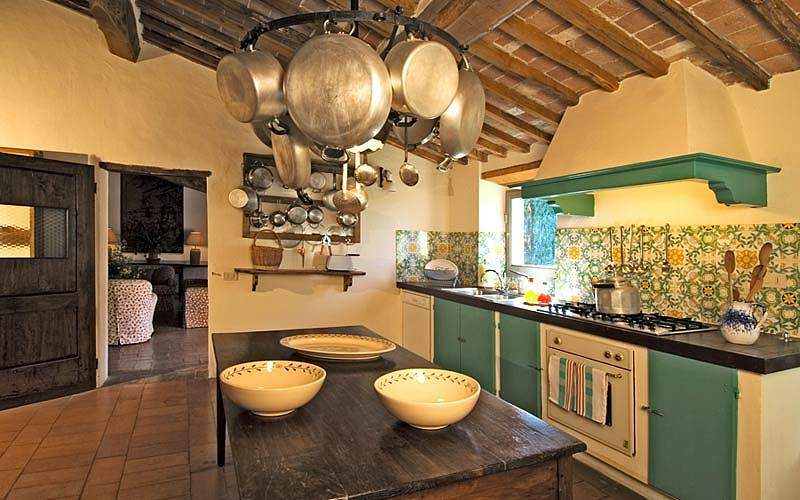 An eminent Italian architect and restoration expert, Rossi ensured that all the original architectural features of the units were conserved and that only traditional, locally-sourced building materials, such as travertine marble and terracotta tiles, were used. 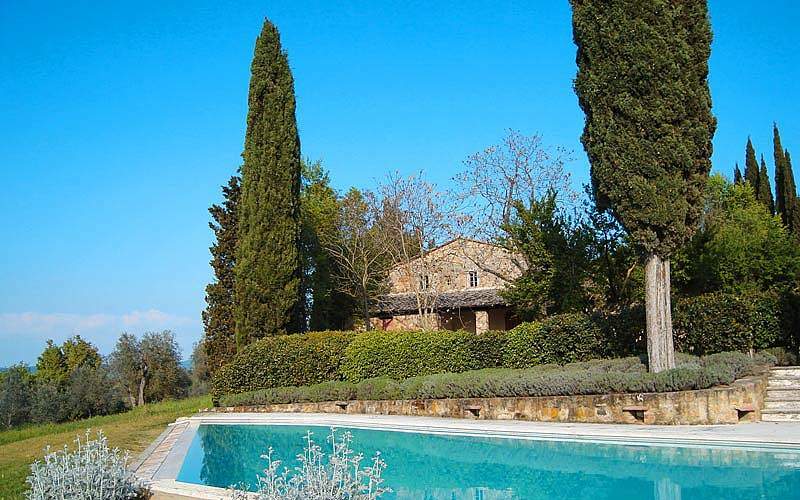 All five houses offer splendid views over the village, the courtyard of the church, and the picturesque Tuscan countryside. 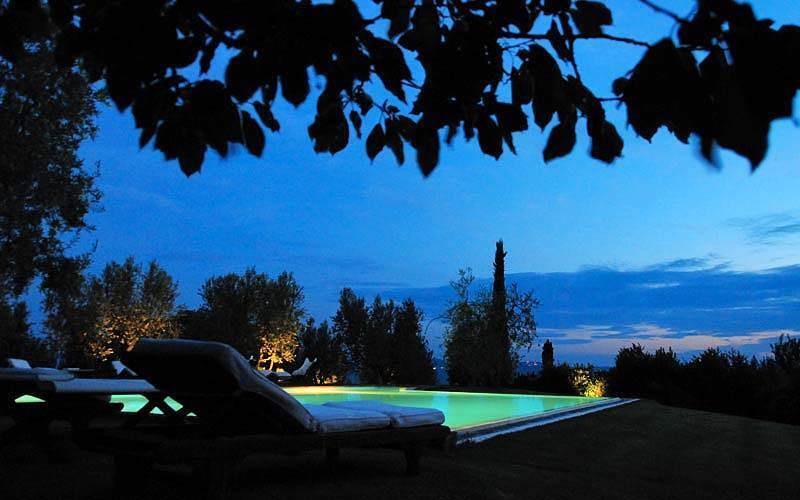 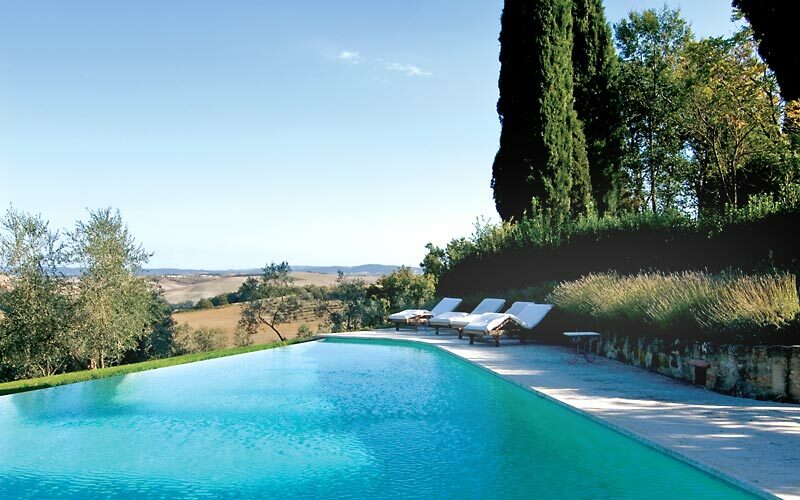 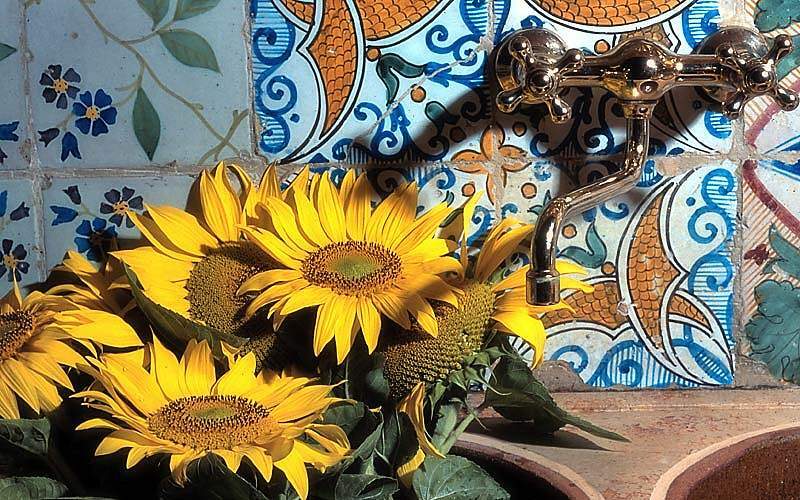 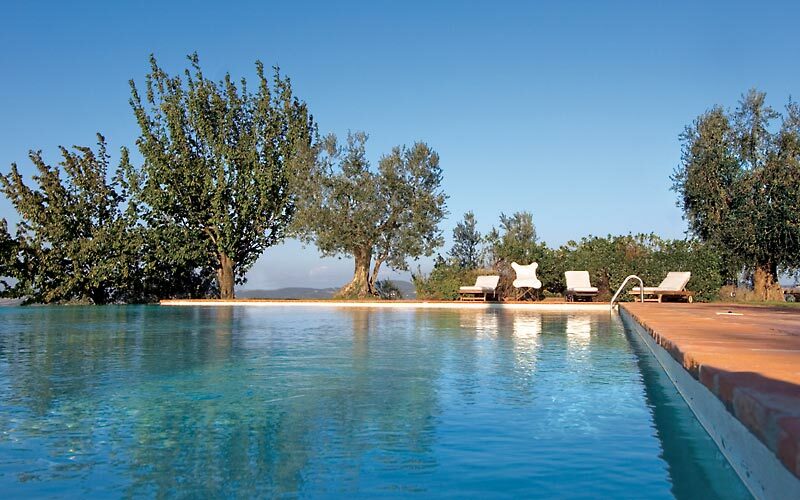 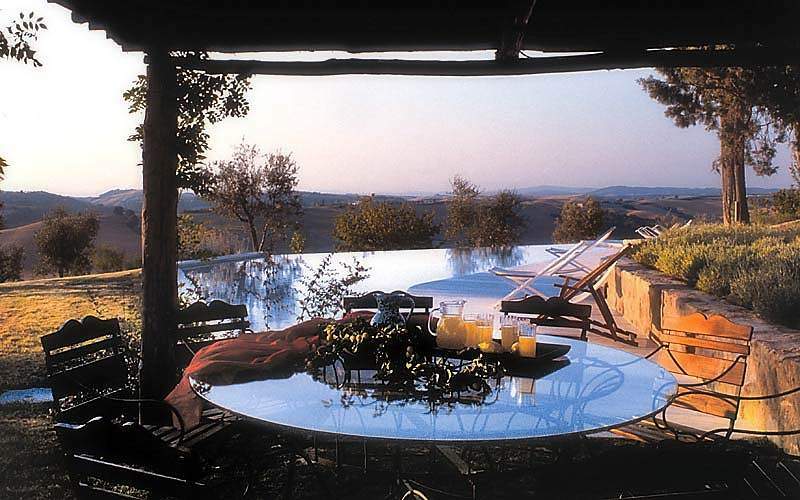 Nearby, there is a large swimming pool reserved for guests sojourning at Borgo Lucignanello. 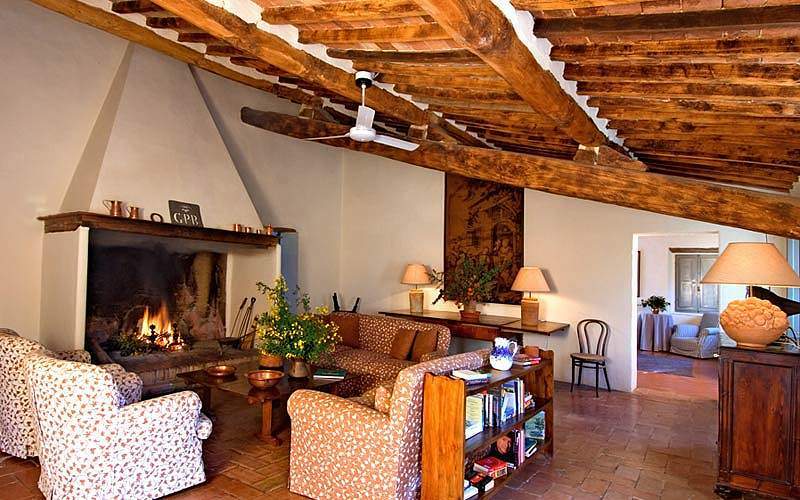 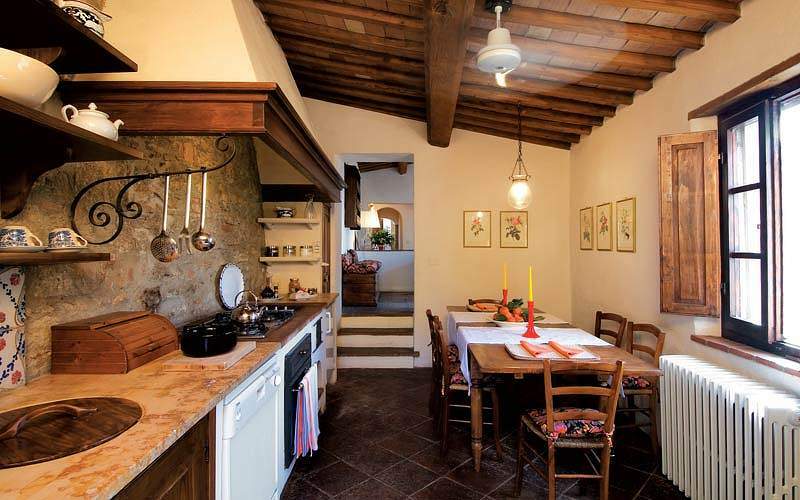 On the immediate outskirts of the village lies Casale Sarageto: a wonderful 18th century farmhouse complete with garden and swimming pool, which is available for exclusive rent. 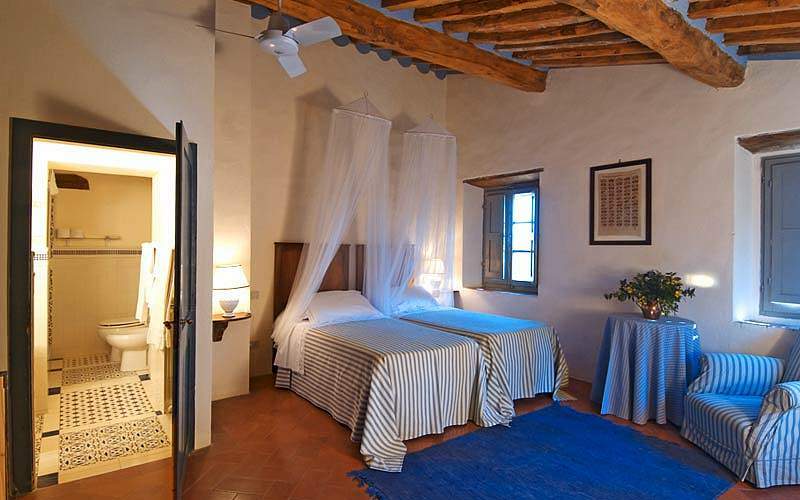 The farmhouse has a total of four ensuite bedrooms, a sitting room, dining room, and large kitchen. 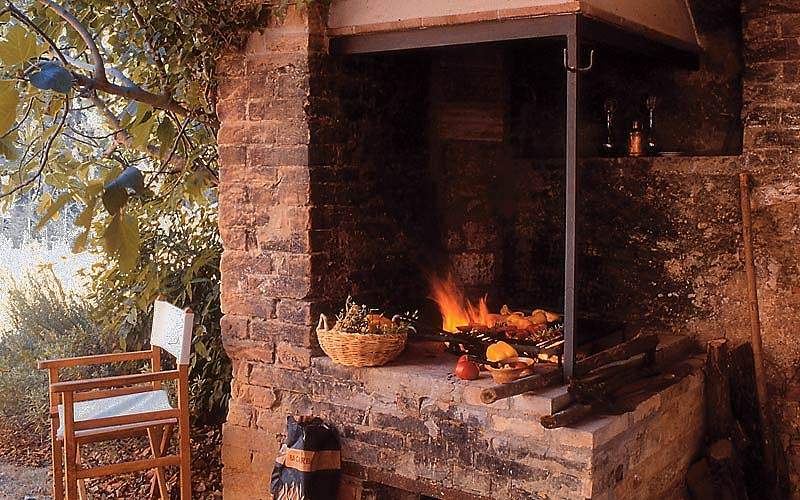 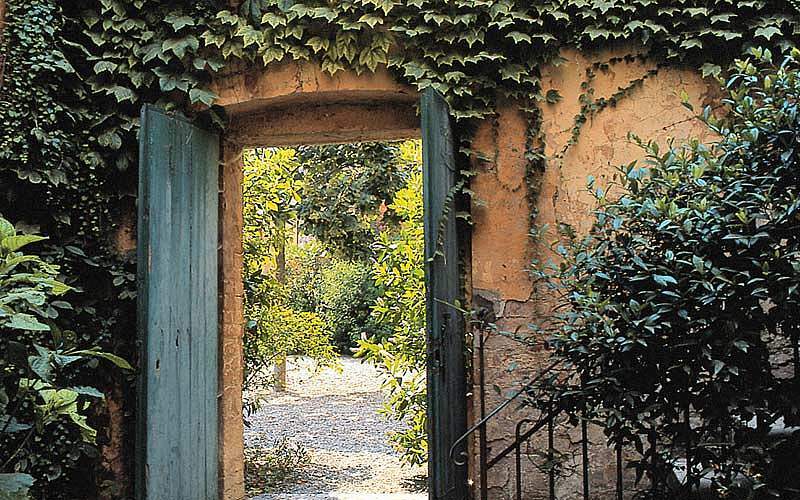 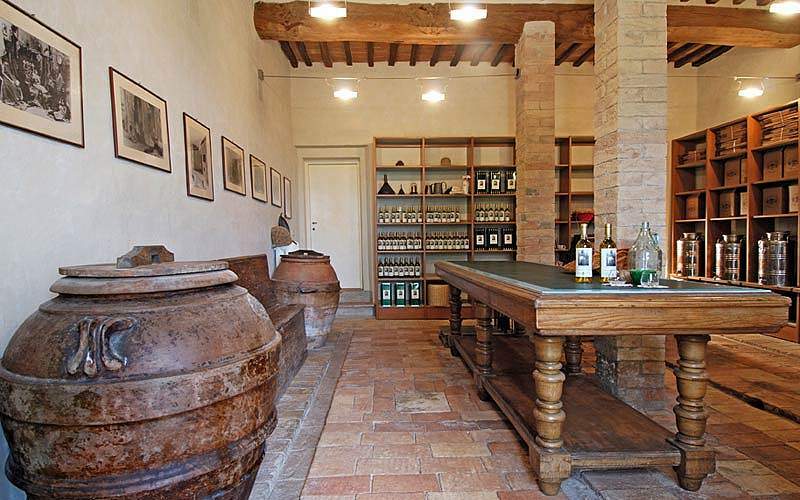 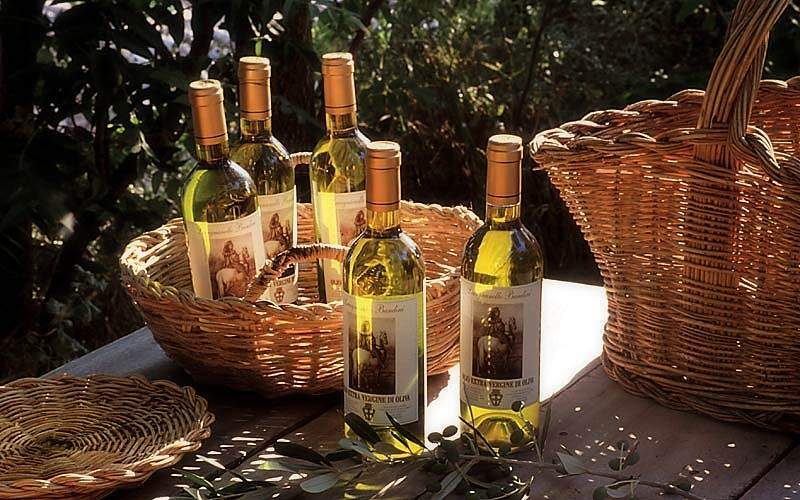 The perfect choice for those wishing to experience an authentic slice of life in the Tuscan countryside, Borgo Lucignanello organizes tastings of the property's extra virgin olive oil, wine tours, truffle hunts, visits to local dairies, and cooking classes held by a local chef. 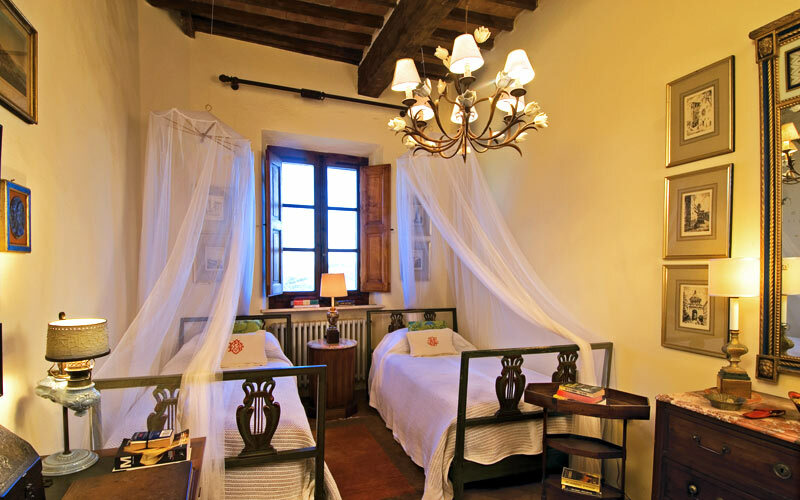 Borgo Lucignanello is located in the tiny medieval hamlet of Lucignano d'Asso, in southern Tuscany, not far from the Umbrian border. 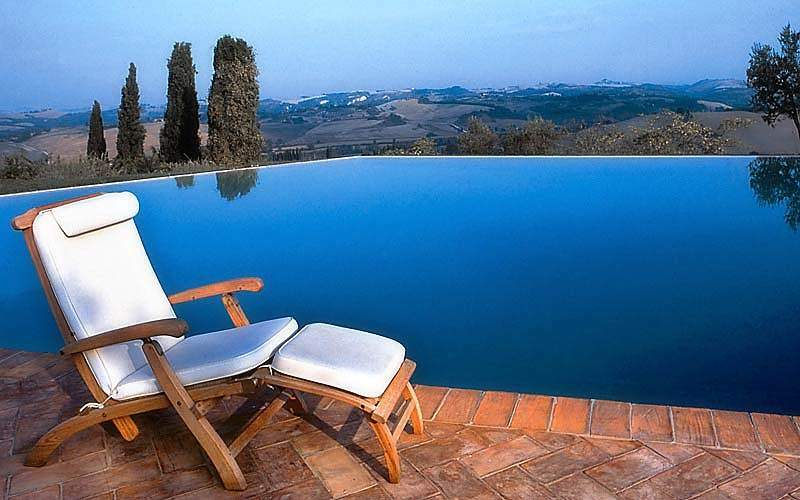 Between the Crete Senesi and Val d'Orcia, Borgo Lucignanello is situated in one of the most fascinating areas of Tuscany, within easy driving distance of the medieval city of Siena and the hilltop towns of Pienza, Montepulciano, San Quirico d'Orcia and 'Montalcino, where Tuscany's famous Brunello wine is produced. 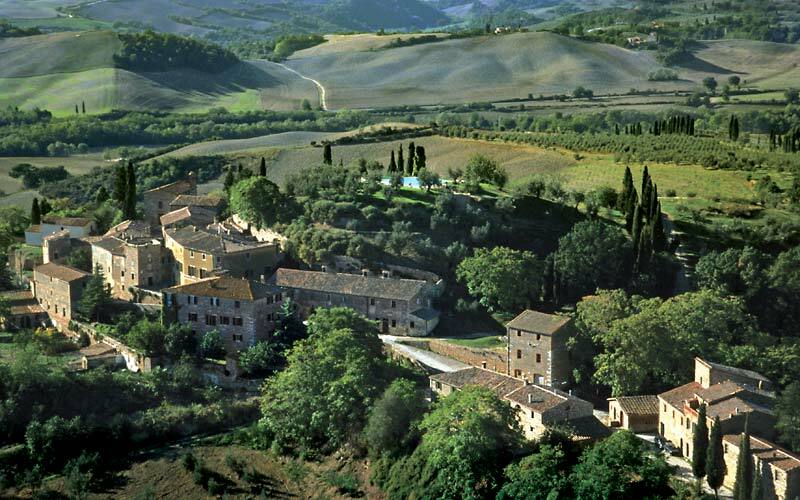 Amazing views of the Tuscan hills; delicious local dishes combined with Brunello wine from Montalcino; plenty of art and history in all its villages. 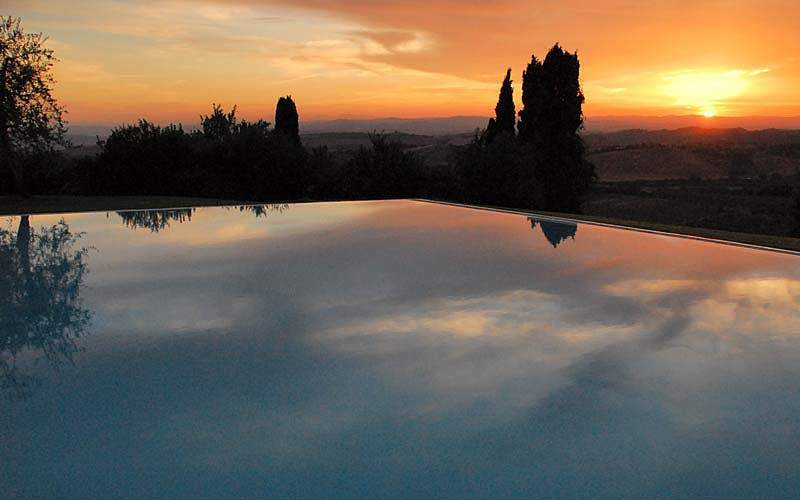 Welcome to this stunning region between the Orcia Valley and the Crete Senesi! 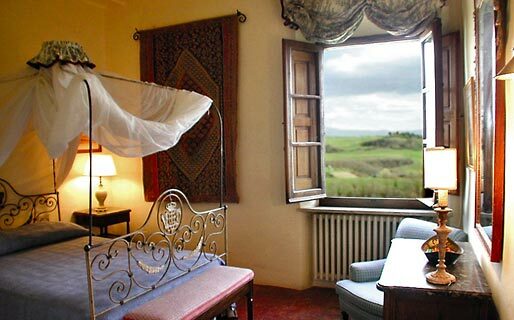 "We truly enjoyed our visit. 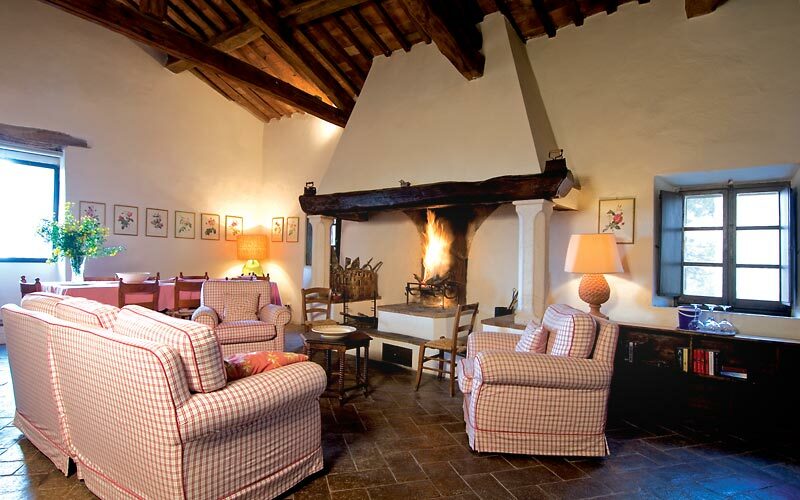 The facility, the countryside, the people, the town, the food... all exceeded our expectations."